After a long stay-over in Mauritania, the chemical tanker 'Key Bay' is now on its way to the EU with fish oil from occupied Western Sahara. First stop: Las Palmas. On 13 January 2016, the vessel was heading in a speed of 11 knots north direction the EU from Nouadhibou. On the evening of 13 January, it was confirmed that the first stop is Las Palmas. It is estimated to arrive Las Palmas at 14:00 this afternoon, 14 January. In general, near all fish oil transports of this kind have ended up in Fécamp, Normandy, France. It is not known what the purpose of the stop in Las Palmas will be - probably to bunker fuel. WSRW earlier wrote that Key Bay had picked up a cargo of fish oil in El Aaiun harbour in Western Sahara. 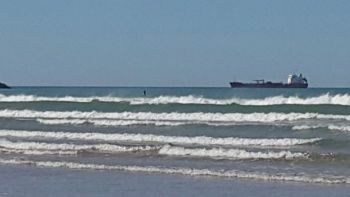 The photo to the right shows the vessel before picking up the cargo. When it entered El Aaiun on 6 January its draught was 5,2 meters, while after leaving El Aaiun on 8 January it was 5,4 meters. The change means it has most probably loaded in El Aaiun. 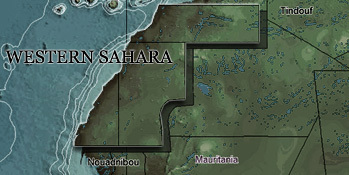 On the 8 January, the vessel headed towards Nouadhibou, Mauritania. After 5 days in the North-Mauritanian port, the vessel is now on its way into EU waters. The vessel undertakes such controversial transport approximately twice a year. This is the first time after the landmark judgement of the Court of Justice of the EU that WSRW observes a transport from the occupied territory. A large part of the territory of Western Sahara has been under illegal occupation by Morocco since the 1970s. It is normal for the vessel to make those 3 stops: Tan Tan, El Aaiun, Nouadhibou, before heading to France.